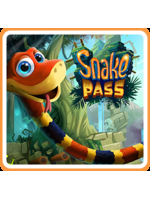 Snake Pass is now available on PS4, Xbox One PC and Switch, and we've just had the time to record some gameplay footage of the first two levels on Nintendo's latest hardware. Developer Sumo Digital (Sonic and All-Stars Racing Transformed and the upcoming Crackdown 3) have managed to create a pretty refreshing title with very original controls, which will require some getting used to in order to beat all the levels. We will have some PS4 and PC videos later today, or tomorrow in the worst case scenario, but until then, check out our footage on Switch. We have tried the game in handheld mode and it runs smoothly as far as we've seen. Needless to say that it's just as enjoyable to play like that than to play on a TV screen. On PS4, PS4 Pro and Xbox One S, you'll get HDR if your TV is compatible. True. 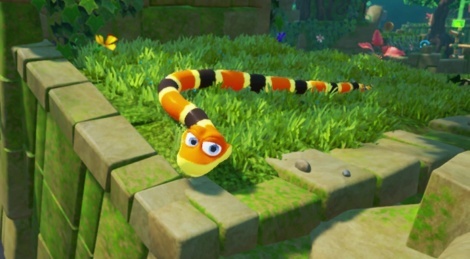 And that snake is hillarous.